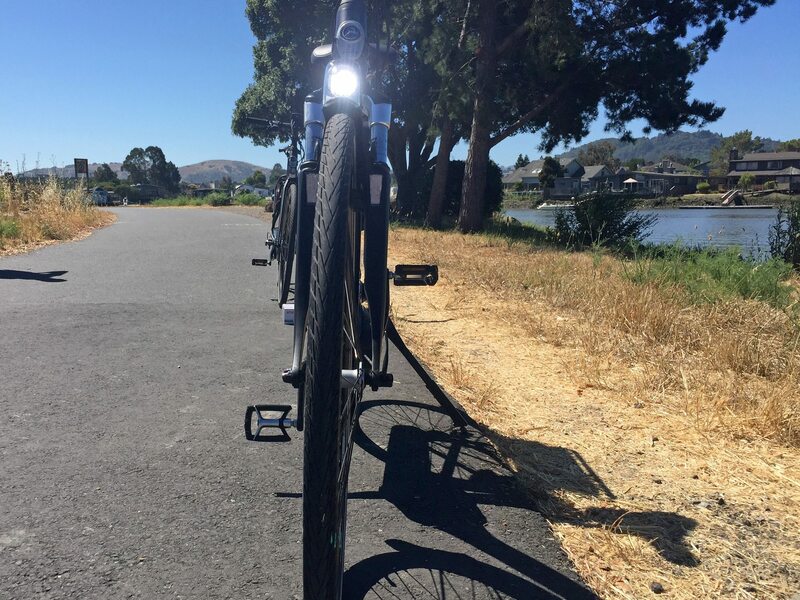 For this review, I met with Brett Thurber from the New Wheel in Marin California. 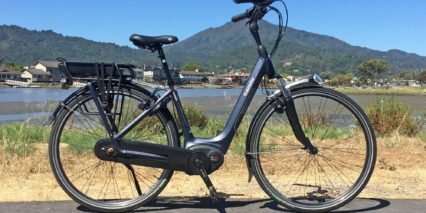 We took two of his shop’s Gazelle electric bikes down on the bike path, near Corte Madera Creek, and discussed all of the intricate details. 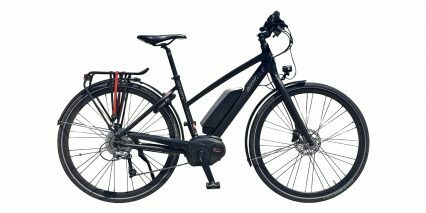 The Arroyo C8 HMB is one of the more expensive, feature-rich, comfortable city style e-bikes I have tested… and Gazelle is renowned for their attention to detail and quality construction. They’re a Dutch company with over 100 years (since 1902) of outstanding business service and have been recognized with the Royal Dutch designation. 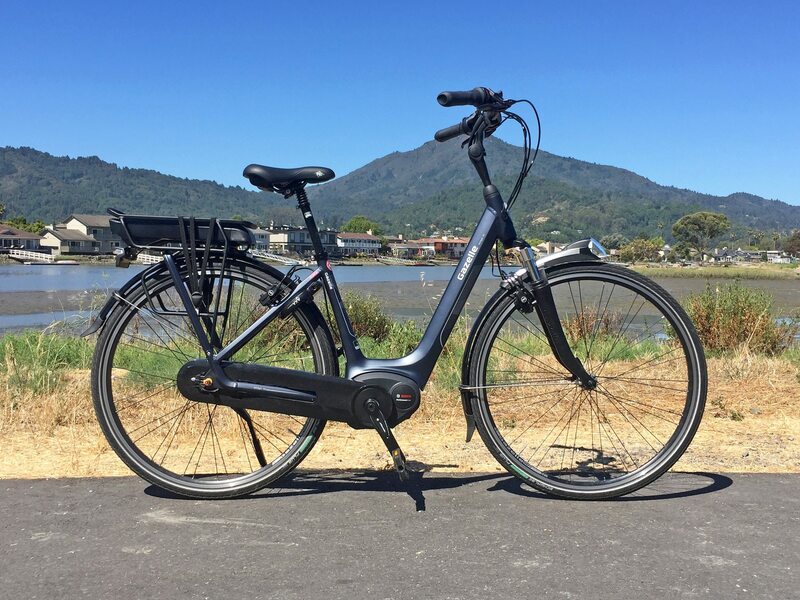 It’s not the most affordable bike in this category but to be fair, the price actually dropped $200 from an earlier 2016 version I reviewed which was called the Arroyo C8 HM. With the HMB you get a more powerful Bosch Performance Line motor and 25% larger battery pack! That’s pretty awesome if you ask me, you definitely get what you pay for with Gazelle and Bosch (which produces the motor, battery, and premium display panel for this electric bicycle). The display is cool because it offers a Micro-USB charging for portable electronic devices, can swivel to reduce glare when riding, and is removable for protection when parking. 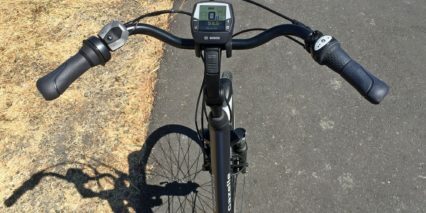 The backlit display LCD is extra-large so people with limited vision can view it without straining and it’s right there at the center of the handlebar. 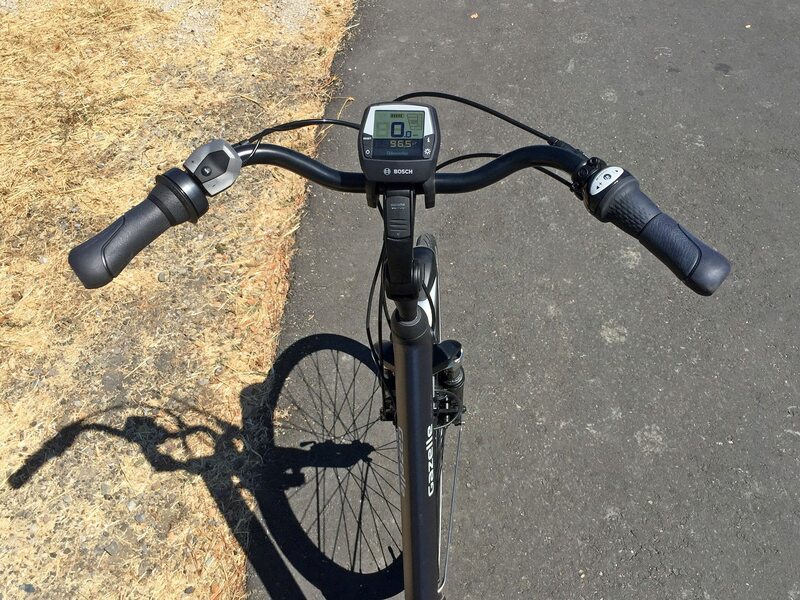 Interacting with the bike is also comfortable and easy thanks to a remote button pad, mounted within reach of the left grip. I was also delighted with the grip shifter for changing gears on the right and a unique twist bell on the left. 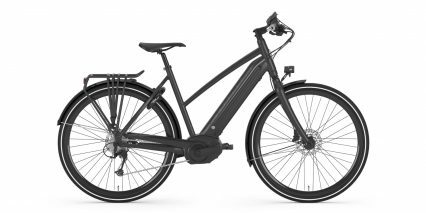 There’s a sense of balance and symmetry with this electric bike. 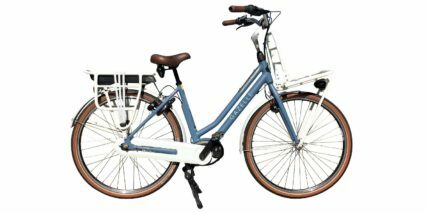 And, even though the rear rack-mounted battery is not as low or balanced as a centrally located downtube pack, the motor weight, heavier handle bar, and suspension fork up front make it pretty balanced front to rear… and of course, the rack battery frees up the center of the frame for that nice step-thru approach. This balance compromise is less relevant to the diamond high-step frame which still uses a rear rack battery but doesn’t take advantage of the downtube or seat tube for storage options, it doesn’t appear to have any bottle cage bosses on these tubes, which is a shame. Neither bike has bottle cage bosses, and I personally find them useful for keeping fluids within reach or bringing along a mini-pump or folding lock without the need for a bag. It’s easy to not mount an accessory here if you prefer, the frame would still look clean and probably be almost as strong, so I’m not sure why they skipped on this? Frame strength and stiffness has been improved over the 2016 model and the tube shape and welds are near perfect, just so clean and smooth. The wheelset is double-wall and has reinforcement eyelets and thicker spokes for strength and durability. 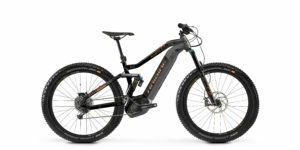 The tires are upgraded Schwalbe Energizer Plus model with reflective sidewalls tripes and puncture protection. 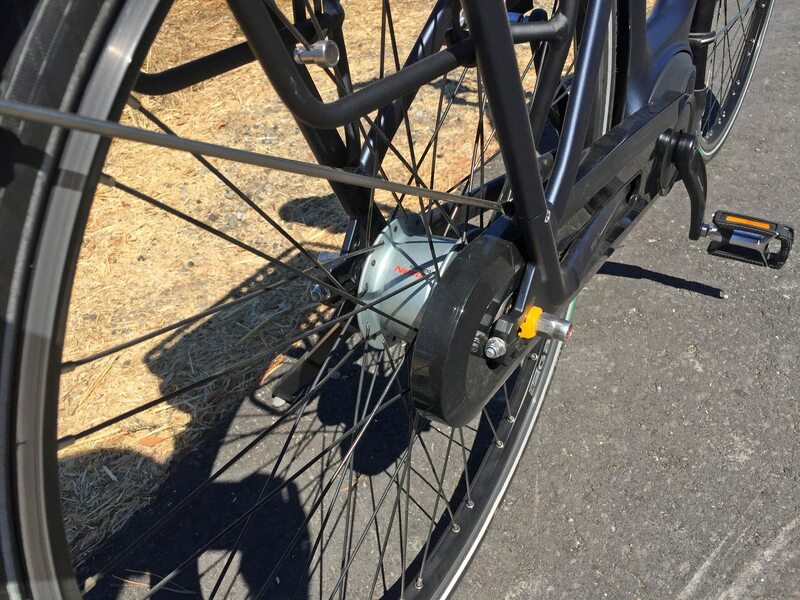 Changing a flat tire on a heavier electric bike with internally geared hub and horizontal dropout, as used here, isn’t much fun… so the tires are an important touch. Regardless of weather, your pants or skirt should stay clean and snag free (a heavy storm might get you wet from above, but water shouldn’t splash up because of the extra-long fenders and full-surround chain cover). 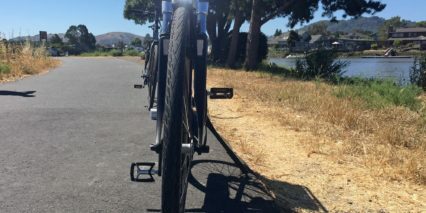 Little details like the adjustable length kickstand that does not require a screwdriver to slide up and down, or the adjustable height and angle stem that is also tool free… and the tool-free adjustable brake levers all make this thing enjoyable to ride. If you want to sit upright and relax for the first part of a ride but then get more aggressive and aerodynamic towards the end, you can, and it’s fast and easy to do. 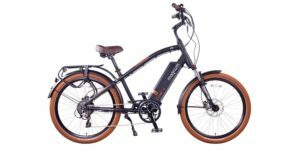 Driving the Gazelle Arroyo C8 HMB is a Bosch Performance Line Cruise mid-motor. 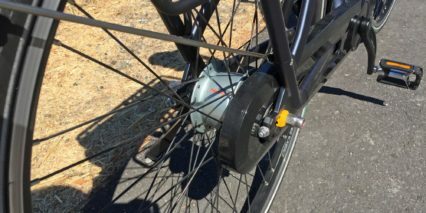 This internally geared centerdrive is unique in that it measures rear wheel speed, pedal cadence, and pedal torque, 1,000 times per second. It starts up almost as soon as you apply pressure and cuts out just as fast. 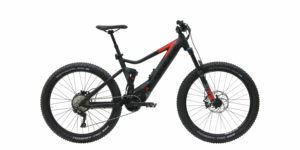 It’s a motor that has been used on trail and mountain bikes in the past because of how responsive and reliable it is, which is important on unsteady terrain. In a potentially wet urban environment, where cars are present, that may be just as important. But, there’s another benefit specific to this bike’s drivetrain worth mentioning. 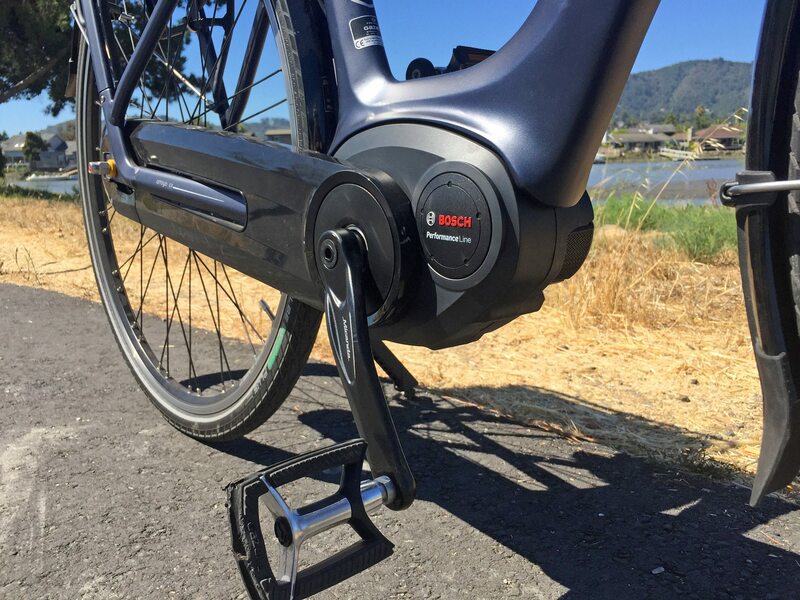 The Bosch mid-drive motors offer shift detection which allows for smoother transition between different gears, and in 2017 they released a software update (that shops would install) to work even better with internally geared hubs like the Shimano Nexus Inter8 used here. 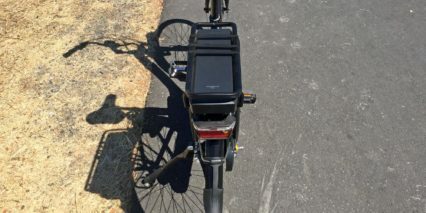 The combination of shift-detection and thoughtful pedaling (where you ease off a bit when shifting between gears) allows for the super-responsive motor to smooth out shifting. The Inter8 is a big upgrade from the Inter7 because it uses a roller clutch vs. pawls. It doesn’t produce the buzzing clicking noise when coasting the way that most bikes do. And, because there is only one chainring and one rear sprocket, the chain is less likely to fall off or make a lot of noise. 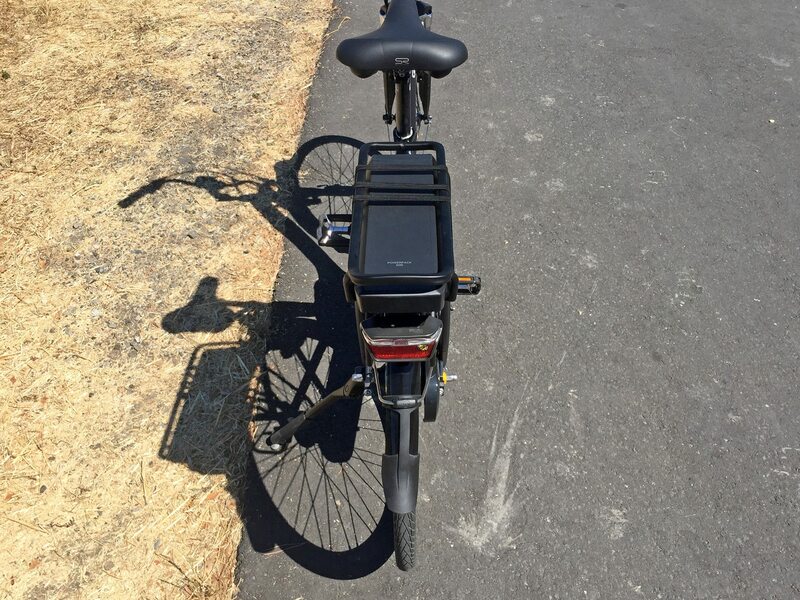 The two potentially noisy parts of this ebike are the long plastic fenders (which are securely attached) and the motor itself. Most geared motors produce some rubbing sounds and there’s a distinct electronic whir as you arrow up into the higher power levels of assist and pedal faster. The motor can assist at up to 120 RPM while other systems cutout at ~100 RPM and spins the uniquely-small 15 tooth chainring at 2.5 rotations for every crank turn. I was told that this deign allows for better chain grab and may also start and stop quicker. In any case, the motor works well and shifting is intuitive, even at standstill, using the half-grip twister on the right. Just remember to ease off the pedals a bit when shifting so the gear can transition… there’s a self-protection mechanism that will create a buzzy/clicking sound if you try to shift while climbing or powering fast and it will wait to change until you let off a bit. 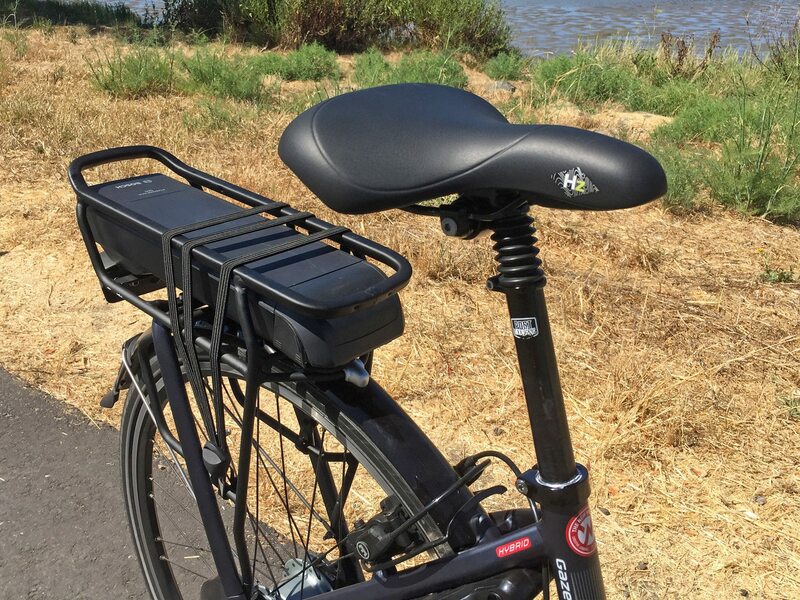 Powering the Arroyo C8 HMB is a rear-rack mounted Powerpack 500 from Bosch. It contains high-density Lithium-ion cells and weighs just ~5.7 lbs. That’s less than half a heavier than the older Powerpack 400 but you get a 25% capacity increase for longer rides. 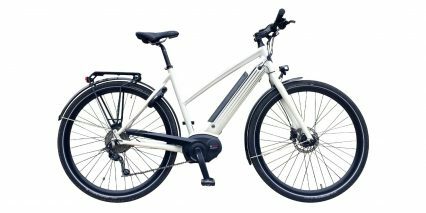 Depending on the assist level you choose, this electric bike should go at least 30 and up to 100+ miles per charge. Because the motor is pulling the same chain that you pedal with, it’s up to you to shift gears thoughtfully and empower it to improve leverage. 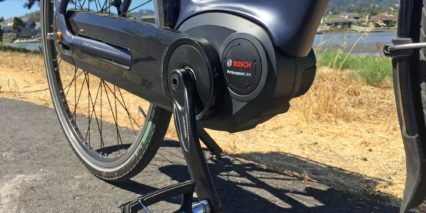 Bosch has a new shift recommendation graphic that appears as an up and down arrow on the display panel when it senses that you could empower the motor, look for it at the top left portion of the display screen if you are pedaling too slow or too fast. Again, it’s just a recommendation and I love that Bosch supports you up to 120 RPM because I like to spin fast and some other systems made me feel like I had to shift even though I wouldn’t have chosen to do so on my own. They wouldn’t let me reach the max assisted speed (20 mph in this case) without shifting. 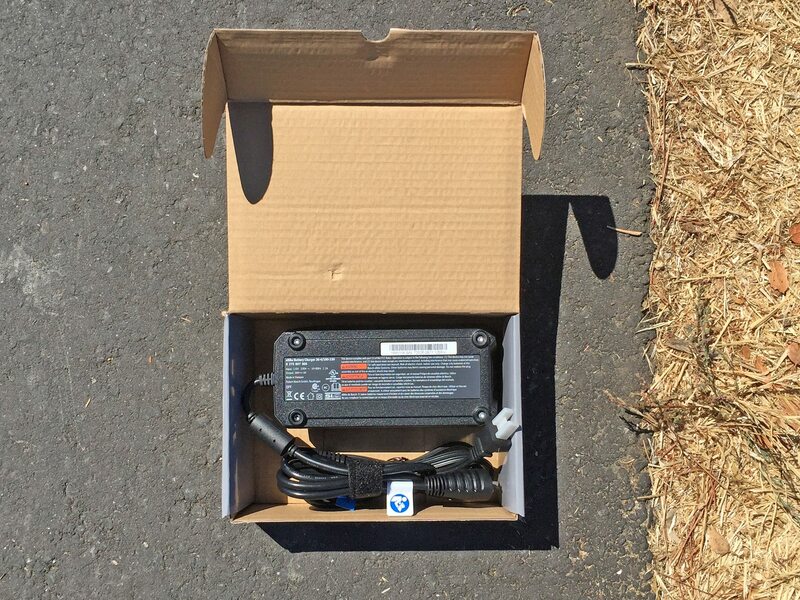 So, the battery pack can be charged on or off the bike frame and it uses the same plug style which is nice, there’s no adapter dongle to keep track of. 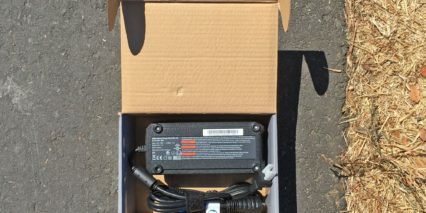 The four Amp charger is two times faster than most generic chargers I see and is compact and relatively lightweight at under two pounds. When you unlock the battery and slide it out of the rack, there’s a handle at the end to make carrying it safe and comfortable. 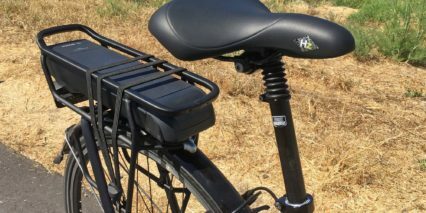 The rack is designed in such a way that it completely surrounds and protects the battery, and has plenty of extra room on the top and sides for trunk bags and panniers. I love that both lights on this bike are integrated, powered by the battery pack, and positioned out of the way. 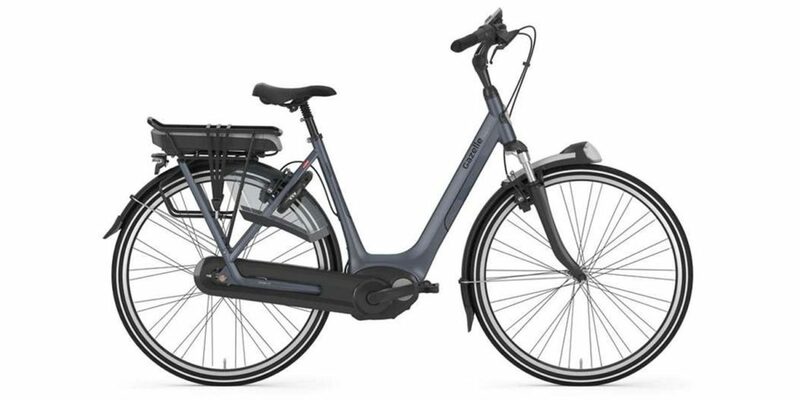 The rear light, in particular, is less likely to be blocked by bags or even a long coat the way that seat post mounted lights are. The headlight is very cool looking, has an aim feature that allows it to point up or down (to avoid blinding oncoming traffic and riders) but might bounce around a bit because it’s built into the fender, which is attached to the moving part of the suspension fork vs. the suspended portions of the bike (head tube, handlebar). This is one area that I was not able to test during my ride but that crossed my mind as I have seen it happen on other bikes in the past. 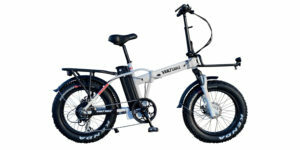 Using the bike is straightforward, I already talked about how adjustable the handlebar is, but the suspension fork has two spring adjustments (which both need to be turned the same amount for balance), and the suspension seat post has a rebound adjustment (higher rebound would support heavier riders before the slide kicks in). I wouldn’t mind seeing a lockout on the suspension fork to reduce dive when stopping, but I would probably rarely use this feature myself because I don’t weigh a lot and am okay with some efficiency and control compromise for comfort. It’s especially cool to have a cafe rear-wheel lock included, and that it uses the same key as the battery pack! In this way, you don’t have the added weight and inconvenience of multiple keys floating around. Moving up to the display panel, you press a single power button to activate the bike once the battery is charged and mounted. It switches on quickly and is constantly backlit with a faint blue glow. The LCD system and remote button pad are called the Bosch Intuvia and they are my personal favorite at this time. You get a large easy-to-read display panel that’s removable for safe keeping, and the utility of a Micro-USB port for charging portable electronics. In some ways, this display offers a lot of information and is deep, but the extra reset and lights buttons make it easy to use. The main buttons are power, i (which is like an information, screen selection button) and the plus and minus keys. Click plus to increase power from zero to Eco, Standard, Sport, and Turbo. Each click produces a sound and a feeling so you can make adjustments confidently without looking down. The remote button pad delivers a smart tactile interface with the + and – buttons at the top and bottom and a rubberized convex circular bump for the i in between. The i allows you to switch from odometer, to trip distance, max speed, clock, range and other readouts. Range is especially cool because it dynamically shows how far the battery can take you in the currently selected level of assist based on the last mile of use. This is way more useful than the five bar battery infographic shown at all times near the top of the LCD. 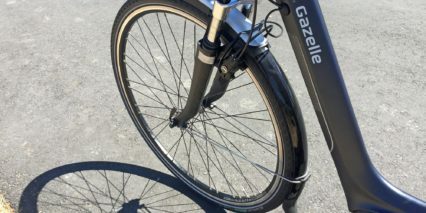 This review video was a bit longer and very deep because Brett is well informed about things like hydraulic rim brakes (which are reliable, powerful, and adjustable), as well as the history of Gazelle. We were riding near Mount Tam in Marin, California which is one of the birthplaces of mountain biking… and the terrain is hilly in many places. He explained that the 2016 Arroyo C8 HM was their most popular step-thru model because of how reliable, comfortable, and powerful it was. To see that model further improved and drop in price is fantastic. 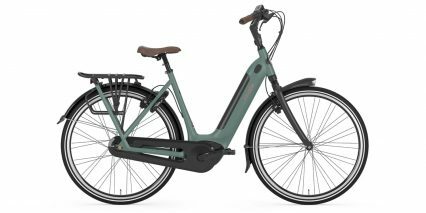 It’s a bit heavier than some competing models, in part because of the internally geared hub and larger battery, but the ride experience is nimble and stable. This is an electric bike that is easy to appreciate and that even the Dutch Royal Family seems to be comfortable recommending or at least recognizing. 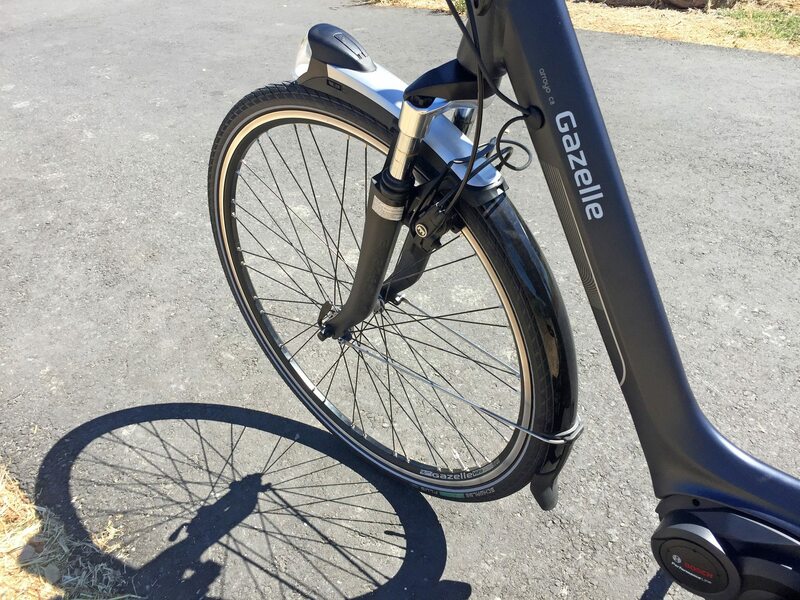 Big thanks to Gazelle for partnering with me on this post and the New Wheel for hosting me and filling in some of the missing details during our talk on camera. 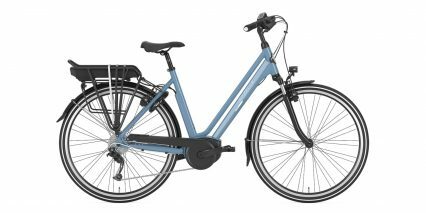 It appears from the 2018 bikes in stock at my local dealer, and from the publicity photos on the Gazelle website, that they have replaced the front dual suspension fork with a headset monoshock similar to that fitted on the Avenue model. Hmm, great catch Dewey! Thanks for pointing this out, it would make sense from an “economies of scale” perspective since Gazelle probably gets deals if they buy in volume… did you know that they are part of the same company that owns Kalkhoff, Focus, and Faraday? It will be interesting to see if there is more grouping of components and stuff like this in the future. 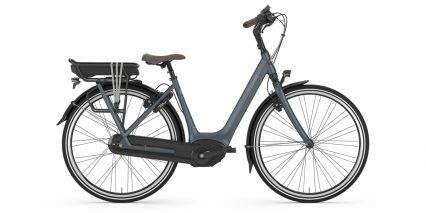 Are you thinking about getting this bike? Hi Ray! They appear to be very similar bikes. I’m not sure I have looked closely at the 2018 Kalkhoff Agattu B8 but my preference is for the dual stanchion suspension vs. monoshock. I appreciate the longer travel and increased cushion over weight savings. 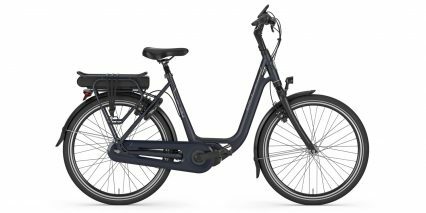 Both Gazelle and Kalkhoff are owned by the Pon group and offer the same great support and quality. Sorry I cannot elaborate more, perhaps you could ask in the EBR forums or visit a shop that carries both brands? Thanks Court! 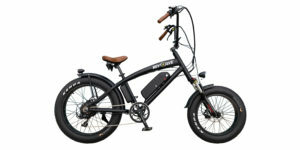 I am working with Boise Electric Bikes and they carry both brands. I am leaning toward the Gazelle! Thanks for your feedback! In the article you wrote “even the Dutch Royal Family seems to be comfortable recommending or recognizing”. Although I have seen pictures of our Royal Family using Gazelle bikes. I’m pretty sure the will not recommend any brand… It had nothing to do with the bike. The royal family is not allowed to express an opinion about anything without approval of the prime minister. However… Gazelle is a “hofleverancier” that means that theY have delivered products to the royal family for some time. Therefore recognizing should be more appropriate.